"It doesn't prove we are the best because Japan did not send their top team," Lin, who secured bronze in the team event at the 2016 Rio Olympics, added. Qiao Liang, the team's coach, said he was "very, very touched by the girls' performance" after they suffered a bout of diarrhoea before the final. "They had some problems as they are not used to the food here," he said. Chen told journalists she was still very nervous in the final despite her earlier victory, and said the win was "all about teamwork". The men's event was missing several big names, mostly notable Japanese superstar "King Kohei" Uchimura -- the 2012 and 2016 Olympic all-around champion. "That exercise was my only good one," a dejected Maeno, the 2016 Doha world cup winner on the horizontal bar, said afterwards. 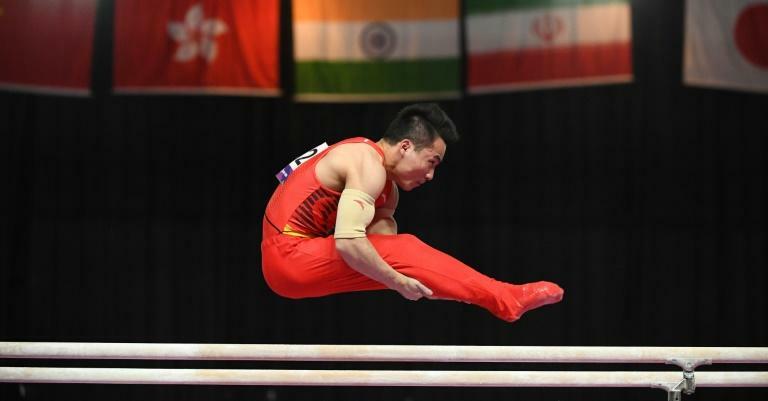 "From this year qualification starts for the Olympic Games so strong countries cannot send their good gymnasts," he told AFP, claiming that China also did not send their star athletes. "China is not strong (today), this is second class. Japan too," he said.